Add a touch of brightness to your space with the LSA Terrace Storm Lanterns. Wonderfully designed, these echo a very minimal and classic look. It's great for additional homes, shabby chic or country inspired ones as well. Each lantern bears a chunky base to ensure they remain balanced. 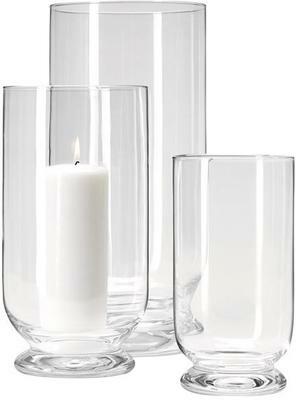 Place a pillar candle on the inside and light it up, then watch how beautiful that candle glows with the glass. This one is perfect for bathrooms, right when you're soaking on that relaxing bathtub. You can also place them in the living room or as centre pieces for that romantic dinner for two you've been planning. These storm lanterns can be used both indoors and outdoors so have fun with it!